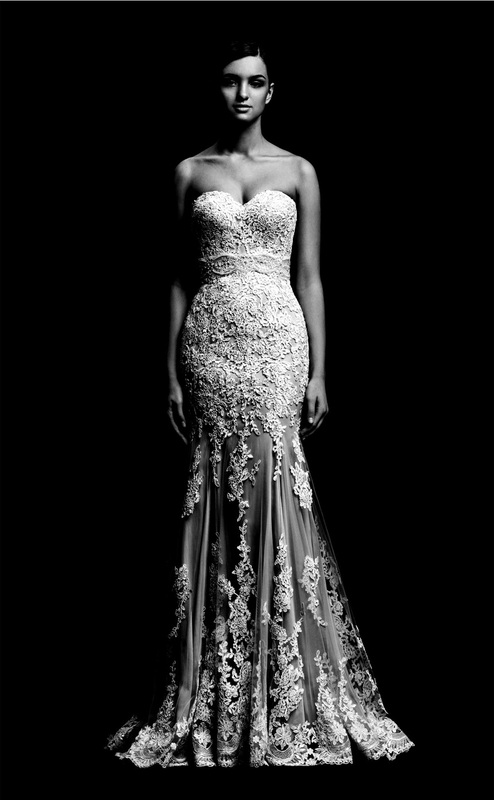 An absolutely stunning bridal dress that everyone wants! This delightful strapless dress features a sweetheart neckline from which begins the bodice fully covered by lace from top to bottom and underlined waistline by a beaded belt. A perfect silhouette which shows all those curves is a winner.